Home cleaning is a routine household chore that needs to be performed on a daily basis. A clean home is not only necessary for the health of the family that lives in it but is also important for projecting a good image of them on their guests. However, renters and even homeowners in Jandakot, WA 6164 find little time for performing this most important of house chores. For the renters, home cleaning is a tiresome job which they usually delay until the last minute. As for the homeowners, cleaning of their homes remains a weekly task which isn’t always enough. What is the Need of Carpet Cleaning? Carpets and rugs are a common sight in Jandakot, WA 6164 homes. People like having them in their bedrooms and living rooms as they can add a great deal of value to a room’s decor. However, in order to remain in good condition, the carpets need to be cleaned on a regular basis. If a carpet is left uncleaned for too long, it can accumulate a lot of dust and dirt which can cause all manner of respiratory diseases and ailments to the people living in the home. Thus, it is important that you ensure that carpet cleaning is something you don’t delay too much. In addition to the health hazards that unclean carpets and rugs can cause, dirty and stained carpets aren’t a nice sight for guests as well. People coming to your home judge you and your home on the basis of the cleanliness of your home. If they see carpets that have lost their shine and have multiple stains present on them then they would get a negative impression about you and might stop visiting your home. Since you don’t want that happening, you must invest in deep carpet cleaning, at least once a month. This would ensure that your carpets remain free of both germs and stains. Although there are a lot of DIY carpet cleaning techniques that one can use for the purpose of cleaning their carpets and rugs, most of them are not that effective. Such techniques can only temporarily clean the carpets with the stains resurfacing with the passage of time. Thus, in order to deep clean your carpets and rugs in Jandakot, WA 6164, you need a professional cleaner to perform this job. Such cleaning services have special equipment available to them that can help them in cleaning the carpets in a much better manner. 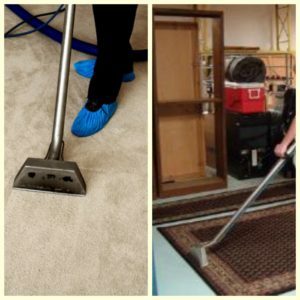 We, at Carpet Cleaning for Perth, are one such cleaning services provider. We can offer you the best carpet cleaning services at the most affordable rates. Our expert cleaners are going to make sure that your carpets regain their original shine and lustre. Upholstered furniture items are extremely valuable and can add a great deal of value to the interior decor of any living room. You can utilize them as decoration items and also for providing a nice sitting place for the whole family. Sectionals and couches are a good example of this which can be seen in many homes throughout Jandakot, WA 6164. However, like the carpets, the upholstery furniture require proper maintenance if they are to retain their elegant looks. You need to deep clean them at least on a monthly basis if you want to ensure that they don’t begin to deteriorate. Upholstery items require special care during cleaning. You have to keep in mind the material used for covering the upholstered furniture when deep cleaning your upholstery. For instance, using a steam cleaner on a leather sofa or a couch is a good way of removing germs and bacteria from it but it won’t be able to help you in getting out the stains that are present on it. You will have to use spot treatment to remove these stains. For other materials, however, homeowners in Jandakot, WA 6164 can use steam cleaning for effectively removing even the toughest of stains with consummate ease. Moreover, when doing deep cleaning of Upholstery items, you need to ensure that all the dirt and grime and dander that are covering their surface are removed first. There are several techniques that can be used for this purpose. However, vacuuming remains one of the most effective one, by far. You will have to make use of the cleaning attachments that come with your vacuum in order to reach the corners and folds of your couch or sofa, though. They will ensure that your upholstery items get free of the dirt, dust and pet hair that have been dampening their colour and beauty. Why is Professional Cleaning Necessary? 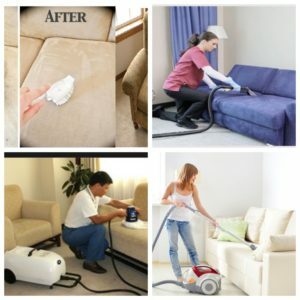 While homeowners and renters living in Jandakot, WA 6164 can clean their upholstered furniture effectively by using DIY methods and portable vacuum and steam cleaners, they can’t deep clean their upholstery. The reason for this is that the DIY techniques are limited in efficacy. Moreover, using the steam cleaners for cleaning the upholstery is a risky task if you aren’t properly trained to use them. One might even get injured if he isn’t careful in using them. So, it is best that you leave this task to a professional cleaning service like us. We, at Carpet Cleaning for Perth, are an experienced cleaning service provider that has been providing upholstery cleaning services to the people in Jandakot, WA 6164 for a long time. We can provide a high level of cleaning service to you that will extend the life of your upholstery items. Jandakot, WA 6164 is known for its humid climate. This humidity is the reason why mould and mildew are a common issue that people here have to face. These organisms prefer moisture and darkness and can thus grow quite easily in the dark corners of the home. For instance, the space in between the tiles present in the bathroom and kitchen are among the most common places where mould and mildew can be found. If the growth of these organisms isn’t controlled in a timely fashion, they can multiply quite quickly and become a serious problem for you. Tile and grout cleaning isn’t as easy a task as people in Jandakot, WA 6164 might imagine it to be. There are a lot of challenges that need to be overcome in order to effectively perform this task. For starters, you have to identify the places where the mould is growing. After this, you will have to determine the extent of the damage that the mould has already done to the grout and whether it is best to take it all out or just to clean and reseal it using additional caulking. Apart from this, you would also have to decide which type of cleaning agent to use for killing the mould. There are various brands of cleaners available in the market that all claim to be the best. Deciding which of them is suitable for your tiles, however, is not that easy. Using the wrong cleaning agent can have an adverse affect on the colour and strength of your tiles and might even cause damage to the grout that lines them. So, it is best that you let a professional cleaner help you in performing this cleaning task. Carpet Cleaning for Perth is a household name in Jandakot, WA 6164 when it comes to tile and grout cleaning services. We offer a high quality of cleaning service for your tiles and make sure that they remain in perfect condition. Our team of cleaning experts is highly experienced and is trained in the most advanced cleaning practices. They can effectively clean the tile and grout in your bathroom and kitchen and remove the mould and mildew from them in a short period of time without encountering any problems whatsoever. Moreover, they can perform this task in a safe manner too. Hiring us for cleaning the tiles present in your home is going to give you the chance to sit back and relax while our cleaners go about doing their job. Our expert cleaners will use the most advanced equipment and techniques for tile and grout cleaning to ensure that you are 100% satisfied with their cleaning job. Book for Our Service Now to Clean Your Jandakot WA 6164 Home! In short, we, at Carpet Cleaning for Perth are your best option when it comes to cleaning of your carpets, upholstery items and bathroom and kitchen tiles. We can provide a high level of cleaning service to you at affordable rates. Our experience in providing these cleaning services in Jandakot, WA 6164 is matchless which is why we are best suited for cleaning your rugs, upholstered furniture and tile and grout. So, if you are in need of carpet, upholstery or tile and grout cleaning then you should book for our service now. We will make sure that you get the highest level of cleaning without having to spend too much.